The Substance Abuse and Mental Health Services Administration (SAMHSA) defines medication-assisted treatment as a combination of behavioral therapies and medications to treat specific types of substance use disorders. A variety of medications are used in the treatment of opioid use disorders, including methadone, Suboxone, and naloxone. Opioid drugs (also known as opioids, narcotic drugs, or narcotics) include all drugs and synthetic drugs that are derived from the poppy plant. This is a large class of drugs that includes both illicit and controlled substances. Drugs such as heroin, Vicodin, OxyContin, dilaudid, fentanyl, morphine, and many others belong to this class. Medications in this class are primarily designed for the treatment of chronic pain, used as muscle relaxants, and as cough suppressants. They also have a number of other clinical uses. In addition, many of these drugs are serious candidates for abuse, and their use is associated with developing some level of physical dependence. Tolerance: This occurs when an individual takes a drug or medication for an extended period of time. The person’s system adjusts to the drug, and the individual needs more and more of the drug to achieve the effects that were achieved earlier. In the case of opioid medication abuse, tolerance develops rather rapidly, and individuals who abuse them may take many times the maximum recommended daily dosage of these drugs. Withdrawal: This is a syndrome that occurs as a result of an individual’s system learning to operate efficiently only when there are certain levels of the drug in the person’s tissues. The person’s system becomes habituated to the presence of the drug. When the individual abruptly stops using the drug or abruptly cuts down on the dosage used, this leads to a state of imbalance and results in a number of negative physical, emotional, and cognitive symptoms. Physical withdrawal from opioid medications is not generally considered to be potentially fatal as the withdrawal that occurs with addiction to alcohol or benzodiazepines is; however, there are potential dangers that can occur. Some individuals may become suicidal or prone to accidentally harming themselves during the very unpleasant withdrawal process. In addition, the most efficient way to stop withdrawal symptoms is to begin taking the drug again. Thus, individuals who have opioid use disorders experience difficulty in quitting their drug of choice because cravings and negative withdrawal symptoms, such as extreme nausea, vomiting, chills, confusion, etc., drive them to relapse during the early stages of recovery. The medications described here are specifically designed to negotiate the withdrawal process for opioid drugs but also can be used for withdrawal from other drugs of abuse. 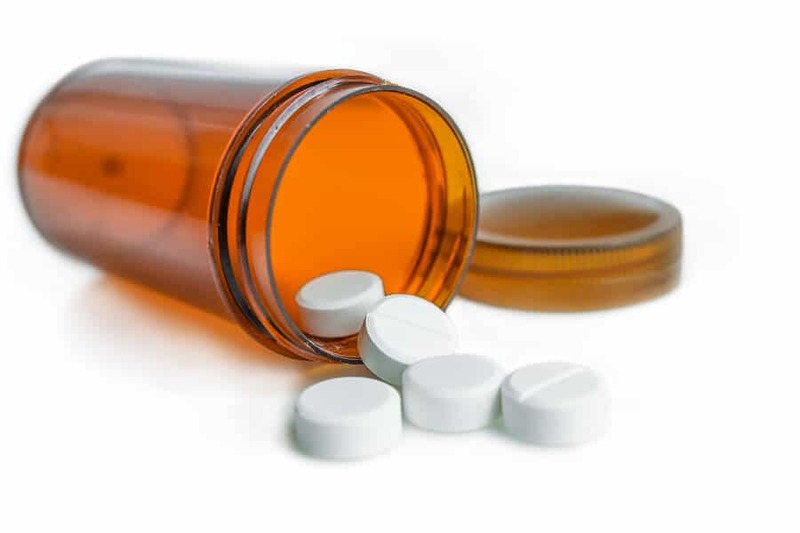 Much of the information regarding these three drugs is taken from the ASAM National Practice Guidelines in the Treatment of Addiction Involving Opioid Drugs and the books Mechanisms and Treatment: Opioid Dependence and The ASAM Essentials of Addiction Medicine. Interested readers may wish to refer to these sources for more in-depth information. Methadone (also known as Dolophine and other brand names) is a synthetic opioid medication that can be used in the treatment of pain but can also be used to assist with the detox process for individuals with opioid use disorders. Research has indicated that methadone is effective in keeping people in treatment for opioid use disorders such as heroin use disorders. The research has looked at self-reported data regarding treatment compliance as well as objective physiological measures of treatment compliance (e.g., hair analysis, urine analysis, etc.) and found that methadone can be useful in helping individuals negotiate the withdraw process without relapsing. However, the research has not consistently shown that the use of methadone also results in a decrease in criminal activities associated with individuals who are dependent on opioid drugs. Methadone treatment is used for individuals who wish to abstain from using their opioid drug of choice but have failed to do so. The general overall goal is to use methadone as a replacement drug for heroin, or some other drug, and taper the dosage gradually until the person is substance-free. The use of methadone mitigates cravings for opiates, produces a mild euphoria, and is not considered to be as dangerous (although this is open to some speculation) as other opioid medications or drugs. The duration of methadone maintenance treatment can range from a few months to continued treatment over one’s lifetime, depending on the individual case. In many cases, the initial goal is to slowly taper the dosage of methadone at a rate that avoids the individual experiencing any withdrawal symptoms. Once the dosage of the drug reaches a specific minimal level, it is discontinued altogether. The individual then should be able to continue life without using the drug, at least in theory. Unfortunately, many individuals with opioid use disorders are prone to relapse, and methadone maintenance is ongoing in these cases. This may reflect the inability of methadone treatment programs to integrate sufficient behavioral treatments to address the psychological and emotional issues associated with addiction. It is hoped that getting the drug legally will reduce the risk of harm (e.g., the risk of hepatitis or HIV due to needle sharing) and decrease the potential of individuals who are addicted engaging in criminal activities, but this is not always the case. Methadone maintenance is generally considered less harmful, less sedating, and safe for even pregnant women; therefore, even if individuals abuse methadone, it is believed to be advantageous over the abuse of powerful illicit drugs like heroin or prescription drugs like OxyContin. 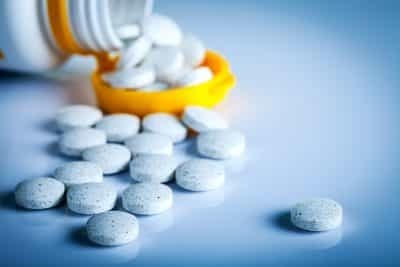 However, as mentioned above, methadone does carry risk for physical dependence and abuse, and many critics point out that one addiction is simply being replaced with another in methadone maintenance programs. Buprenorphine: This medication is a partial opioid agonist that occupies the neurons that other opioid drugs attach to and does not allow other opioid drugs to have any significant effects if they are taken. Buprenorphine also does not produce the same effects as full opioid agonists, like heroin, Vicodin, and OxyContin, even though it does produce mild euphoria. It essentially tricks the brain into thinking that the individual is taking the original opiate drug. Thus, the individual does not experience cravings and withdrawal symptoms. It is a long-acting drug that remains active for nearly 24 hours, and anyone taking any other opioid drugs during this time period will not experience any effects from other opioid drugs as long as the buprenorphine is active. Moreover, buprenorphine has a ceiling effect, such that once someone takes the full dose of the drug, taking any more of it does not produce any additional effects. As a result, anyone taking extra Suboxone to get “high” will not be successful. Naloxone: This drug is an opioid antagonist or an opioid blocker. If an individual takes Suboxone as recommended, the naloxone remains inactive. However, if an individual tries to snort, inject, or use Suboxone in a matter consistent with abuse, the naloxone is released, and it immediately binds to the opioid receptors in the brain, removing all other opioid drugs. This results in the immediate triggering of a withdrawal syndrome, which is unpleasant and what people are trying to avoid in the first place by taking Suboxone. The naloxone component in Suboxone is designed to keep individuals from abusing the drug; however, Suboxone is still abused by some individuals who snort or inject it. Suboxone maintenance therapy typically also follows a tapering process similar to the one described above for methadone except that fewer individuals are maintained indefinitely on Suboxone compared to methadone. The research indicates that when this tapering protocol is adhered to and adjusted for specific reactions that occur across individuals, these individualized tapering programs are successful in avoiding relapse during the withdrawal process. Long-term abstinence typically requires that an individual engages in some type of long-term aftercare program following detox. The use of either methadone or Suboxone does not “cure” anyone from addiction. Individuals who just complete medical detox programs without behavioral therapy and long-term aftercare plans are just as prone to relapse as individuals who try to quit without professional help. Naloxone (Narcan) is described above under the description of the effects of Suboxone. Naloxone also has a very important clinical application in the treatment of individuals who overdose on opioid drugs. Naloxone taken by itself is only activated if an individual has opioids in their system. People who have overdosed on heroin, morphine, Vicodin, etc. are often in a life-threatening crisis due to the results of respiratory depression and cardiac suppression that occur with opioid overdose. Opioid overdose can be fatal. Administering naloxone to these individuals immediately results in the naloxone attaching to the opioid receptor sites in the brain, thus removing the dangerous opioid drugs in the system, and offering potentially lifesaving support. Naloxone has no potential for abuse. The drug will typically perform its action and then wear off in a relatively quick time period, from 20-90 minutes. Thus, it is a potential lifesaver. Medically assisted treatment options allow for more efficient detoxification from opioid drugs of abuse. However, in some cases, these drugs can also be abused. In addition, the detox process is only the first step in recovery. The notion of medically assisted treatment options suggests that the medication assists in the recovery process; however, it is not the recovery process itself. Individuals in recovery need to engage in a professional treatment program that includes therapy, support, and aftercare in order to ensure long-term recovery.